In general terms, Markdown is a short-hand syntax that can be used to easily convert text to HTML. If you are not familiar with Markdown, you just need to learn few basic syntax to get started with using Markdown. To create Headings (H2, H3, H4), precede text with the hashtag (#) symbol. Note: The number of hashtags (#) determines the heading level. You can choose either Ordered or Unordered list. 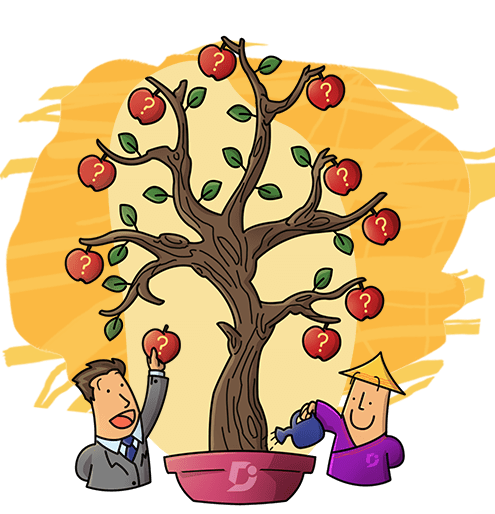 Ordered list refers to a list of items for which order of the series should remain constant. Unordered list refers to a list of related items for which order of the series can be altered. You can refer a quote or highlight an important point by using the '>' before the line. You can enter a horizontal line to divide two lines of text by using the three asterisk symbols. You can create a table by separating two rows of text with the hyphen (-) and two columns of text with the pipe (|) symbol. You can alter the height and width of the image by providing the values in pixels. Example: height="600px" width="400px". 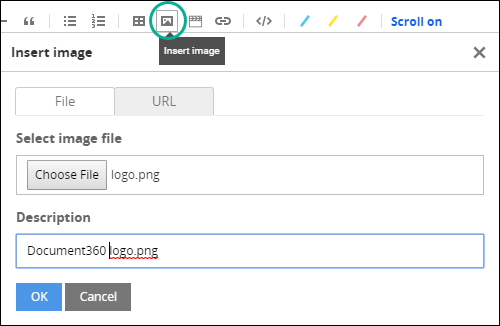 You can also use the "Insert Image" option on the editor to add an image to your documentation. This will pop open a window where you can either upload a file or provide a link to a file. 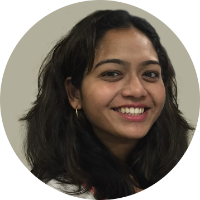 You can alter the height and width of the video by providing the values in pixels. Example: height="600px" width="400px". 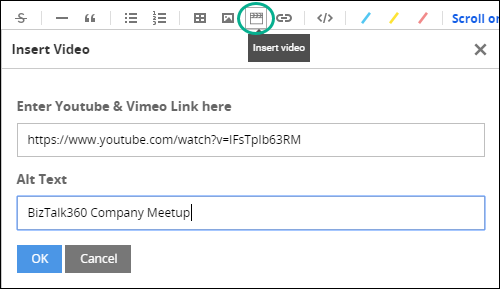 You can also use the "Insert Video" option on the editor to embed a video to your documentation. This will pop open a window where you can provide the video URL. 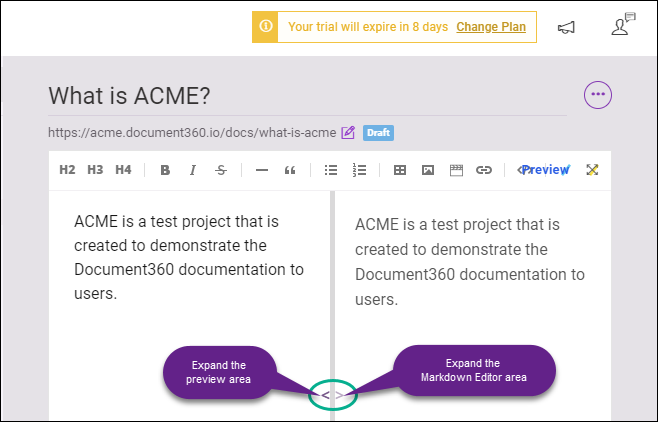 Document360 supports embedding videos from YouTube, Wistia and Vimeo. To add a link to a particular text, simply add the text to be hyperlinked within [ ] and then add the URL within ( ). You can also use the "Insert Link" option on the editor to insert links on your documentation. This will pop open a window where you can provide the link URL and an Alt text. You can wrap your code with 3 backticks (). Additionally, you can specify the language after the first 3 backticks which will automatically syntax highlight the code. Markdown coverts text with four leading spaces into a code block; Add an optional language identifier and your code will get syntax highlighting. 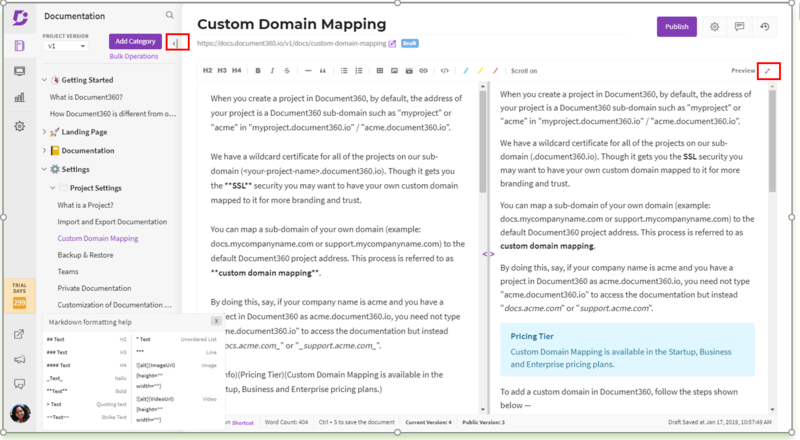 You can use this feature to add specific information that users need to keep in mind when reading the documentation. Simply add @(Info) followed by a title for the information message in ( ) and the content within the second ( ). 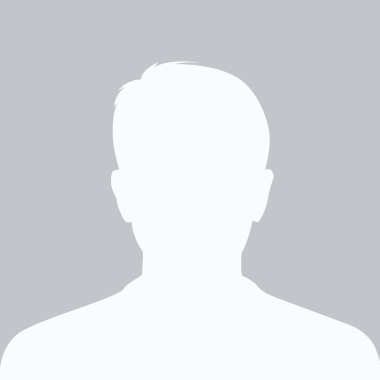 This is an information content. You can use this feature to add any important info that users need to keep in mind when reading the documentation. This is best used for product documentation when you want to alert users about some specific operation. Simply add @(Warning) followed by a title for the information message in ( ) and the content within the second ( ). This is a warning information for the readers. You can use this feature to add any error information or error code details in the product. Simply add @(Error) followed by a title for the information message in ( ) and the content within the second ( ). Details about the error message. Click the Scroll on link to let the Markdown editor and the preview pane to scroll simultaneously. This will give you a real-time preview of the content as you type in the editor. You can use the splitter icon to view only the Markdown editor, or both the editor and preview pane. 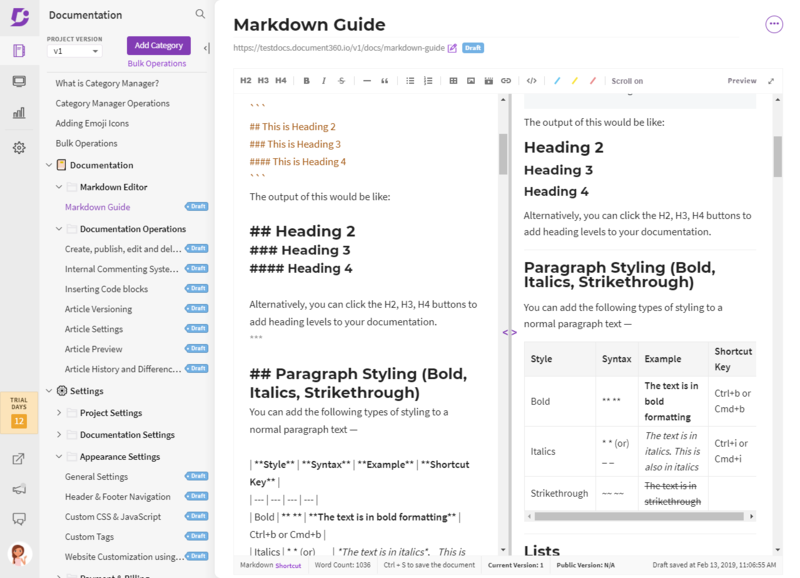 Click the > to expand the Markdown editor to the full screen view. Click the < to view the preview pane alongside the Markdown editor. 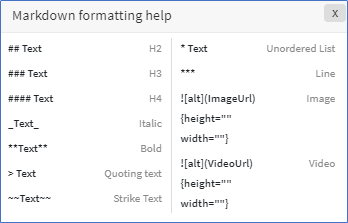 These appear at the bottom left hand side of the editor to give you some shortcuts you can use.